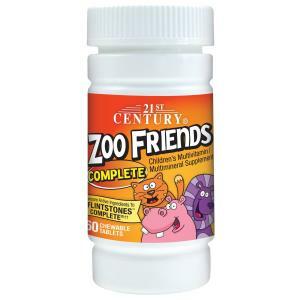 21st Century Zoo Friends Complete Chewable Multivitamin contains antioxidant nutrients that help neutralize free radicals which may cause cellular damage in the body. 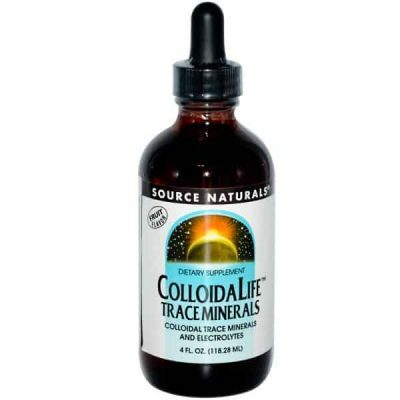 Children 2 to 4 years of age, chew (1) tablet daily; adults and children over 4 years of age, chew two (2) tablets daily, with any meal for maximum results or as directed by your healthcare provider. Do not exceed recommended dosage. Sucrose, sorbitol, stearic acid, citric acid, natural flavours, magnesium stearate, FD&C red #40, sucralose, FD&C yellow #6, FD&C blue #2. ††Flintstones® is a registered trademark of Hanna-Barbera Prod., Inc.